Ms. Knowles or should I say MRS Carter is baaaaack! & She is staying, YH THAT'S RIGHT RIHANNA GET SCARED. HAAA'. The 29 year old singer/entertainer who recently announced that she has one more song to complete her forthcoming album done a photoshoot for "L'Officiel Magazine". 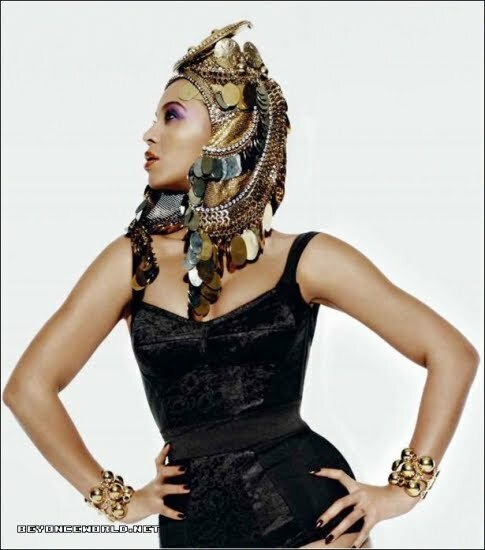 Beyonce went back to her African roots, LITERALLY as in one of her pics she's wearing a Nigeria headtie called a "GELE". GO BEYONCE, anyways enough of that, check out the pics below.. you're looking good Bey Bey.